Description Photo courtesy of Jean Irwin Hoffman. Left to right: Dale Fischer, L. C. Lavachek, Prescott Cookingham, Paul F. Murphy, William E. Leahy. The photo appeared in the December 1961 (Vol. 7 No. 8) issue of the University Club of Portland newsletter. Jean's husband Eric was on the board of directors. 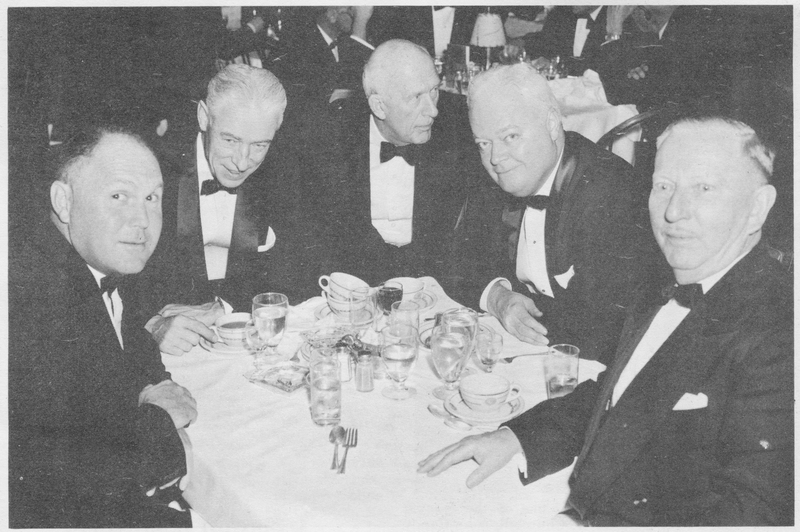 Caption reads: "Another table of Good Fellows at the Annual Dinner."